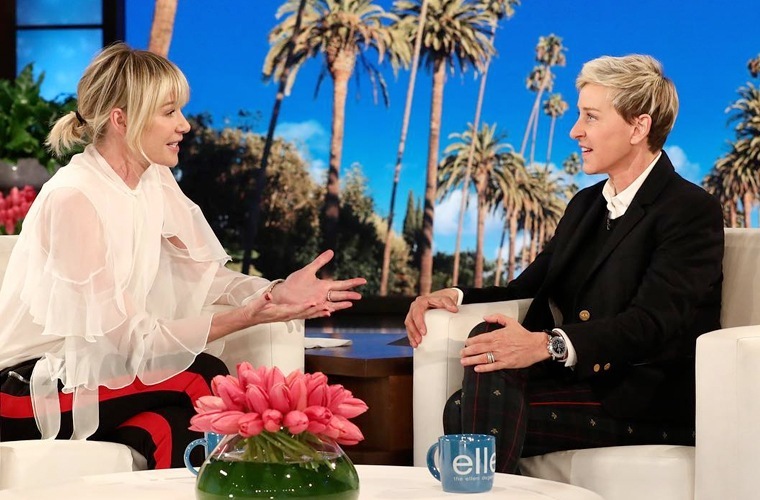 There’s nothing better—not even love—than having someone special in your life who just gets you, and Portia de Rossi definitely knows her wife, Ellen DeGeneres, on a super-deep level. On a recent birthday edition of The Ellen Degeneres Show, De Rossi made a special appearance to surprise her wife with a pretty spectacular gift. Dian Fossey, a late legendary primatologist who’s known for her research and conservation efforts with mountain gorillas in Rwanda, is one of animal activist DeGeneres’ heroes. So, De Rossi opened the Ellen DeGeneres Campus of the Dian Fossey Gorilla Fund, a facility that’ll help carry on the legacy of her altruistic icon. But the permanent home to protect the future of wild gorillas was only part one of the thoughtful present. Part two? The Ellen DeGeneres Wildlife Fund, which will allow DeGeneres to support global efforts for all the endangered species. DeGeneres—who’s been a vegan for years and is constantly working hard to raise awareness on conservation efforts, most recently by raising money to protect elephants—was pretty much speechless, but did have one thing to say. “When we got married, Portia’s line was, ‘It’s good to be loved, it’s profound to be understood,’ and she understands me because that is the best gift anyone could have ever given me,” she said. Watch the whole clip below to catch a case of the Monday-morning #feels. Check out Ellen DeGeneres and Portia de Rossi personifying true love #goals in the clip below. Wondering if your relationship is healthy? Here’s why you should go with your gut. Also, find out the scientific reason why love is so much more important than money.